I’ve been intrigued by Glen Ord for years. 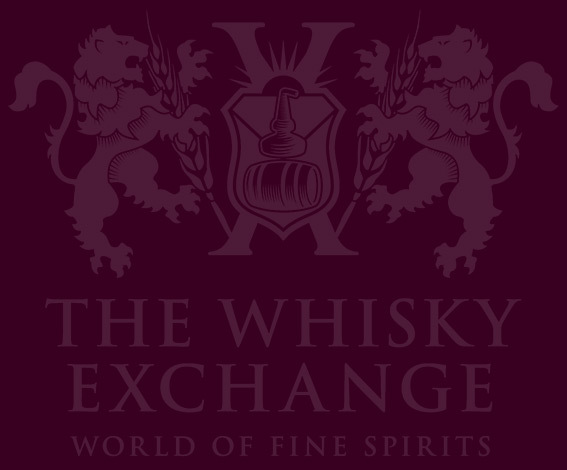 Back in the dim and distant past, I became aware of the distillery when I was asked to write about them in 1001 Whiskies to Try Before You Die – I tried a few drams and really liked them. However, it’s only more recently that I’ve managed to visit and learn about more about the distillery first-hand. Situated a short drive away from Inverness – and easily accessible by train for those like me who shouldn’t be in control of a motor vehicle – on the edge of the village of Muir of Ord, the distillery has been operated without much interruption since 1838. It sits on the south-western edge of the Black Isle, a fertile peninsula well known for its grain production, and when it opened it was one of almost 20 distilleries operating in the area. Times have changed, and these days it’s the Black Isle’s only distillery and one of the most important in Diageo’s malt portfolio. 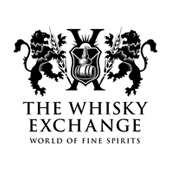 Add to that the large maltings a few minutes walk away – a facility that provides malt to a some of Diageo’s best-known distilleries – and you have site that’s involved in the production of a lot of whisky. 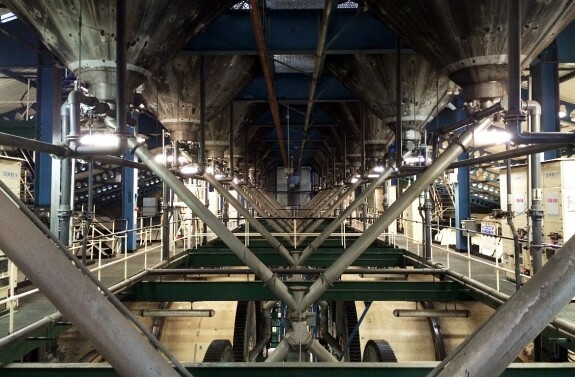 Until 2015, the distillery had a capacity of 5 million litres of alcohol per year, putting it in the top 20 malt producers by volume in Scotland. 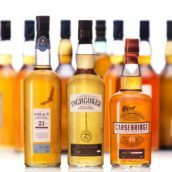 But a major distillery expansion has now bumped that to 11 million, pushing it into the top five, at about the same level of production as Glenlivet and Macallan. However, unless you go behind the scenes at the distillery, you can’t tell – the buildings are still the same as before for the most part, with the expansion mostly happening in the disused buildings that once housed the on-site saladin maltings. The plan was simple: double production by doubling the number of stills and washbacks and adding an extra mash tun, while keeping all the original buildings in place. As the project progressed, they found some more space and added in a couple of extra washbacks, removing a pinch point in production and kept the complex jigsaw of spirit production running smoothly. Along with the extra washbacks and mash tun, they also needed to find space for some stills. This is actually a new building, hidden behind the old site and filled with seven new copper pot stills. The spirit they produce is classified – using Diageo’s internal definitions – as ‘grassy’. One of the key parts of getting that character is how they condense the spirit vapour into liquid. 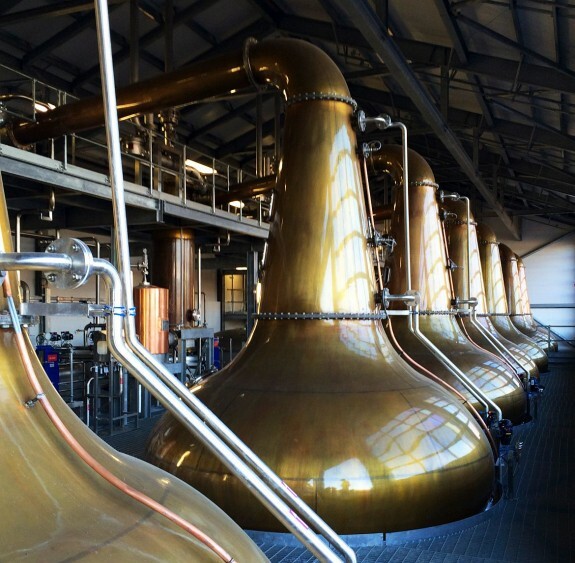 The distillery uses shell-and-tube condensers: wide pipes filled with small tubes full of water, which cool the spirit vapour as it flows through, turning it into liquid. While we usually think of the water used for cooling the vapour as being cold, Glen Ord uses warm water. This allows the vapour to stay as vapour for longer, increasing its interaction with the copper of the condenser and producing a lighter, grassier spirit. My first introduction to Glen Ord was a double-bill tasting of the now-discontinued 12 and 28 Year Old, but further exploration was hampered by an annoying sales decision – Glen Ord’s whisky was only available in Asia. 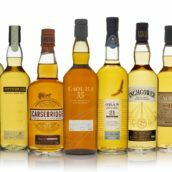 As the third distillery in Diageo’s Singleton range – along with Dufftown and Glendullan – Ord was confined to shops on the other side of the globe. 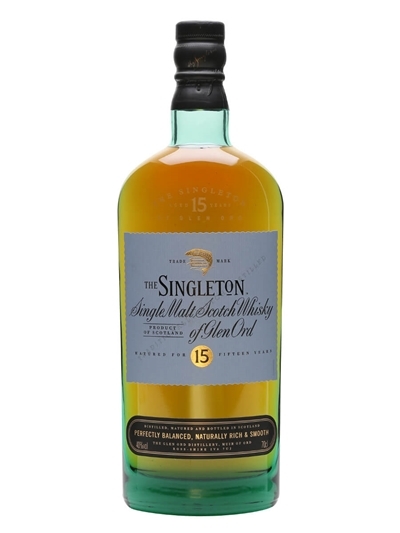 However, Diageo has now decided to open up the range to the whole world, and to celebrate, Singleton of Glen Ord 15 Year Old is our Malt of the Month – we’ve knocked £8 off for the whole of March. 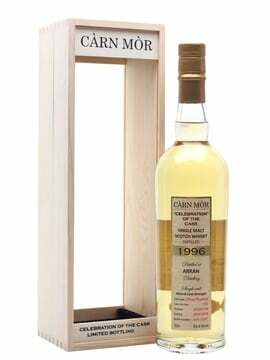 Nose: Soft and waxy with orchard fruit – apples and pears – backed up by soft spicy notes and a hint of the tropical. As it sits in the glass, honeysuckle and butterscotch develop, along with a touch of buttery pastry. 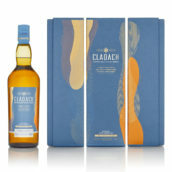 Palate: Slightly oily texture with the fruit from the nose complemented by orange zest and a touch of bitter citrus oil. Spice is more noticeable on the palate, with ginger and nutmeg sitting on top of vanilla and creamy notes. 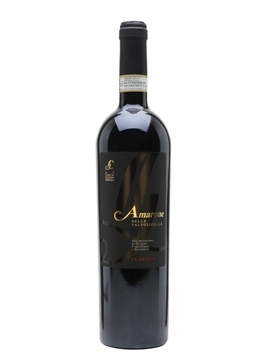 Finish: Quite long, with sharper fruit softening to a spicy end. 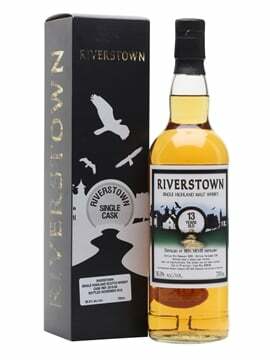 Comments: A rounded and waxy dram with richer flavours providing a solid background for lighter and sweeter notes.. A great every day sipper. While the lack of easily findable Ord has given me an excuse to visit the distillery a couple of times, the extra-availability will hopefully make it easier for everyone to grab a bottle and find out why it’s my favourite in the Singleton stable. We visited the distilery 2 years ago and were impressed, also brought a bottle home. At the time it was export only, can you tell me where I can purchase it in England, I live near Manchester!